Grew up with AEK Athens (Greece) youth teams. Made his debut with AEK Athens during the 2002-03 season. Played there till April '06. Moved to Spain, on May '06, signed by FC Barcelona. Moved to Spain for the 2013-14 season, signed by Real Madrid CF. Named to the 2008-09 and 2015-16 All-EuroLeague First Team. Named the 2015-16 EuroLeague March MVP. Named the 2009-10 EuroLeague Game-4 MVP. 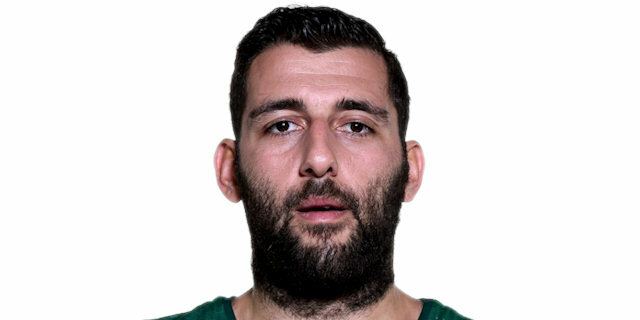 Named the 2013-14 EuroLeague Playoffs game 2 MVP. Named the 2014-15 EuroLeague Round 10 MVP. Named the 2015-16 EuroLeague Round 2, Top 16 Round 4, 10 and 13 MVP. Named the 2016-17 EuroLeague Round 19 MVP. Led the 2006-07 EuroLeague in 2-pts shooting percentage (76.5%). Led the 2008-09 EuroLeague in rebounding (7.36 rpg.). Led the 2008-09 EuroLeague in defensive rebounds (5.14 drpg.). Led the 2015-16 EuroLeague in rebounding (8.7 rpg.). Played at the 2007, 2011, 2013, 2015 and 2017 European Championships. Won the 2016-17 Greek National Championship with Panathinaikos Athens. Played the 2006, 2007, 2008 and 2009 Greek All Star Game. Named the 2009 Greek All Star Game MVP.